Carrageenan is a food additive commonly used in yogurt, dairy-free milk, and other processed foods. It works great as an emulsifier and thickening agent, and it does have natural origins. 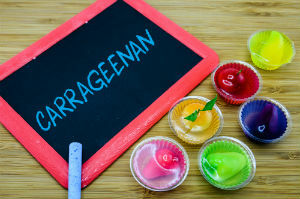 Nonetheless, carrageenan isn't free from health concerns. Isolated from seaweed, carrageenan is a polysaccharide compound that may also trigger an immune response in some people, but this is debated. Because it comes from a natural source, it is typically added to natural food products. 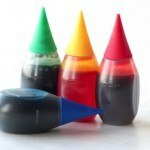 This food additive is just one of the many additives you may wish to be aware of the next time you go shopping. The most recent medical paper we have on carrageenan's carcinogenicity suggests that carrageenan consumption increases the risk for certain cancers. It is also suggested that carrageenan has negative effects on the gastrointestinal tract, potentially contributing to issues such as irritable bowel disease (IBD) and colitis. Past research has shown that carrageenan may impact macrophage activity; however, this research has not been replicated. Another study has shown carrageenan may induce insulin resistance, a symptom characteristic of type 2 diabetes. Colon cancer is also of some concern when it comes to the prolonged ingestion of carrageenan. Many people who consume carrageen seem to report gut irritation, which could be a sign of sensitivity to the food additive. One of the best ways you can avoid carrageenan is to avoid dairy-free milk products, this includes some brands of almond milk. While you can definitely make your own using fresh almonds and water, try to avoid purchasing store bought because these typically contain some type of thickening agent, like carrageenan. Simply look at the ingredients labels of your foods to make sure they're free from the additive. Also, if you purchase gluten-free goods, make sure it doesn't contain the ingredient, either. 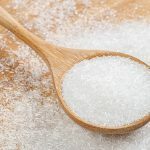 Many gluten-free baked goods will contain carrageenan as a binding agent to replace the gluten, and these products may also contain xanthan gum and guar gum. These gums may also cause gut irritation in sensitive individuals. Have you heard about carrageenan? 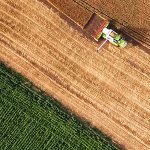 What are your thoughts on this and other additives in natural foods? Have you experienced anything unusual after consuming this ingredient? Please let us know in the comments! J K Tobacman. Review of harmful gastrointestinal effects of carrageenan in animal experiments. Environ Health Perspect. 2001 Oct; 109(10): 983–994. Ishizaka S1, Kuriyama S, Tsujii T. In vivo depletion of macrophages by desulfated iota-carrageenan in mice. J Immunol Methods. 1989 Nov 13;124(1):17-24. Bhattacharyya S1, O-Sullivan I, Katyal S, Unterman T, Tobacman JK. Exposure to the common food additive carrageenan leads to glucose intolerance, insulin resistance and inhibition of insulin signalling in HepG2 cells and C57BL/6J mice. Diabetologia. 2012 Jan;55(1):194-203. doi: 10.1007/s00125-011-2333-z. Bhattacharyya S1, Feferman L, Borthakur S, Tobacman JK. Common food additive carrageenan stimulates Wnt/ β-catenin signaling in colonic epithelium by inhibition of nucleoredoxin reduction. Nutr Cancer. 2014;66(1):117-27. doi: 10.1080/01635581.2014.852228. 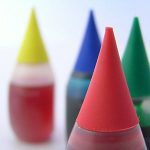 Food Dyes & ADHD: Is There A Connection?